Iransamaneh Review 2019: Is Iransamaneh a Good Hosting? With over ten years of experience in IT development, Iransamaneh has been serving a growing community of customers who are in need of web hosting, dedicated resources, and web development services. Founded in 2005, Iransamaneh is a private company that offers cheap shared hosting services, mobile app, and web development solutions to individuals and businesses in Iran. Its support team comprises local technicians and network engineers. Server speed and performance means a lot to anyone who operates a mission-critical website. Slow servers could mean the difference between winning a new customers and driving them to a competitor’s website. 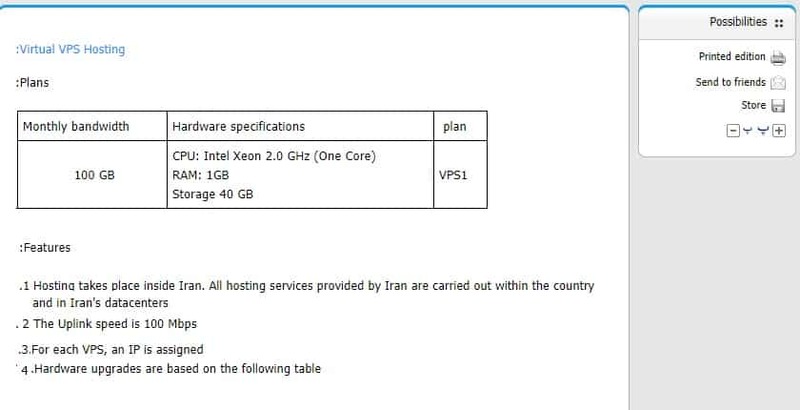 Fortunately, Iransamaneh operates SSD-powered servers with fast Intel Xeon processors. These servers are all located in Iran, making Iransamaneh an excellent choice for those targeting an Iranian readership — though not so great for anywhere else. Designed with security in mind, Iransamaneh’s hosting comes with comprehensive and robust features such as the ability to detect and block suspicious IPs and 24/7 monitoring. Even more comforting is the fact that the servers are set up for anti-DDoS attack mitigation – a rare feature with most hosting providers. For this reason, Iransamaneh is popular with media outlets and news agencies, which are often the target of cyber attacks. Overall, however, Iransamaneh’s website is outdated and not really helpful. It took me about two hours just to locate its list of features. My other concern is that product pages and pricing plans don’t have ordering buttons, which means you’ll have to contact their sales staff to place an order — a tedious and slow process that doesn’t seem to befit the company’s status as a cutting-edge software company. Iransamaneh has some of the cheapest shared hosting packages and dedicated servers in the Iranian hosting market. Its pricing is transparent and there are no setup fees. Upgrades are fast and affordable too, so you can scale your resources at any time to meet the demands of your growing website. 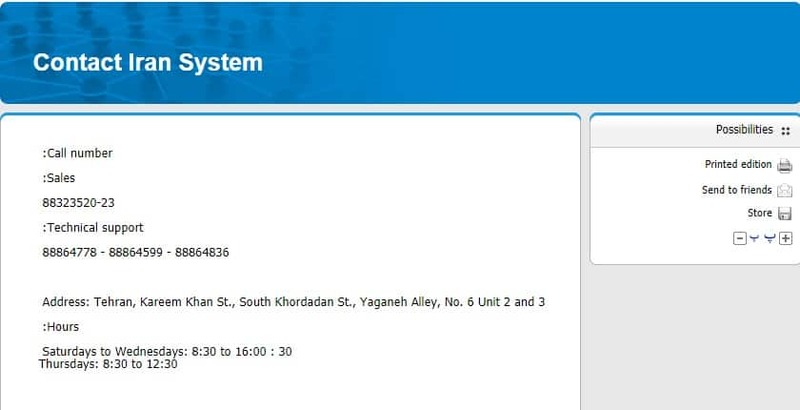 In case you need help with website migration or server configuration, you may call Iransamaneh’s technical support staff between 8:30am and 4:00p.m (Iranian time) from Saturdays to Wednesdays and between 8:30am to 12:30pm on Thursdays. There’s a general knowledge base that’s more informative than it is helpful; I wouldn’t advise you to venture there as it won’t be of much use. Iransamaneh offers quality Iran-based hosting at affordable rates. However, its shared hosting plans are solely for use by existing customers who have purchased its news software. Wondering how Iransamaneh stacks up against other Web Hosting companies? Enter any other Web Hosting company and we will give you a side-by-side comparison.